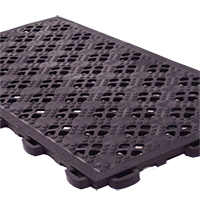 Comfort Diamond Shield - Mat flooring for heavy industrial use. Diamond shield surface provides traction even with accidental fluid spills. 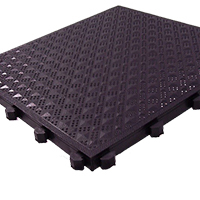 Comfort Grit - For heavy industrial use where spills and oversprays are common. The grit finish provides traction even when wet. Comfort ESD - For use in areas where eliminating static electricity is necessary because of sensitive equipment or products. 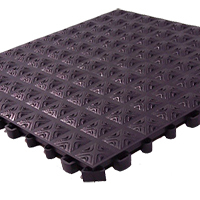 Excel Shock Pocket - Mat flooring for light industrial use. The shock pocket design provides shock absorption as well as traction. 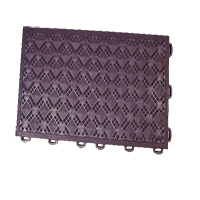 Ergo Diamond Shield - For commercial use in areas with heavy foot traffic. 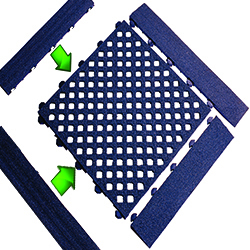 The diamond shield surface provides improved traction. 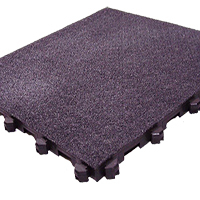 Ergo Grit - Mat flooring for commercial use with grit finish for traction in wet conditions. Ideal for business entrances with tile floors.